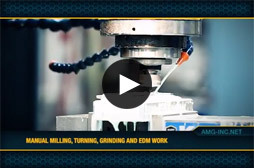 AMG offers precision work using a Turning Lathe for lower quantity jobs. This machine can be programmed or run manually. Mazak Gap Bed Lathe 30" x 80"
Call AMG today to see how we can assist your company with all of its Lathe Turning needs.